We here at MSM appreciate the opportunity given to us by The Sugarloaf Region Charitable Trust. The Trust is a private, nonprofit trust, dedicated to improving the quality of life for the communities that make up the Sugarloaf area. The trust provides financial assistance to organizations with nonprofit, tax-exempt status. The goal of this assistance is to encourage the growth in existing human service and cultural organizations and to develop new organizations that will involve and improve the Sugarloaf area. The Trust was established in early 1984, when the employees of Sugarloaf Mountain Corporation began contributing on a volunteer basis to the Trust through a payroll deduction program. These contributions were, and continue to be, matched by Sugarloaf Mountain Corporation. Additionally, proceeds from the annual Sugarloaf Marathon and Winterkids Downhill 24 are contributed to the Trust. The Trust currently donates more than $44,000 into the community each year. “Parents want success for their kids. They get stuck on [four-year bachelor’s degrees], and they’re not seeing the shortage there is in tradespeople until they hire a plumber and have to write a check. Washington is not the only state devoting attention to this. California is spending $200 million to improve the delivery of career and technical education. 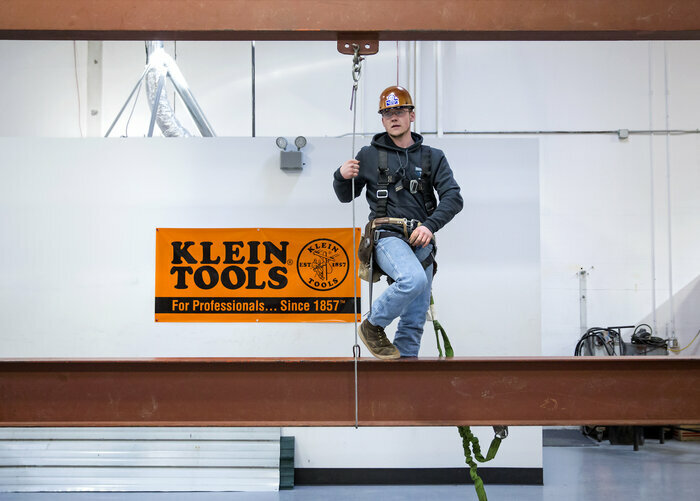 Iowa community colleges and businesses are collaborating to increase the number of “work-related learning opportunities,” including apprenticeships, job shadowing and internships. Tennessee has made its technical colleges free. For all the promises to improve vocational education, however, a principal federal source of money for it, called Tech-Prep, hasn’t been funded since 2011. A quarter of states last year reduced their own funding for postsecondary career and technical education, according to the National Association of State Directors of Career Technical Education. 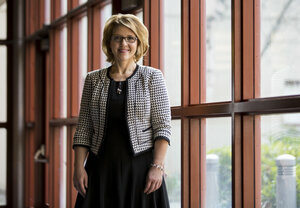 Money isn’t the only issue, advocates for career and technical education say. An even bigger challenge is convincing parents that it leads to good jobs. These perceptions fuel the worry that, if students are urged as early as the seventh grade to consider the trades, then low-income, first-generation and ethnic and racial minority high school students will be channeled into blue-collar jobs while wealthier and white classmates are pushed by their parents to get bachelor’s degrees. Jessica Bruce followed that path, enrolling in college after high school for one main reason: because she was recruited to play fast-pitch softball. “I was still trying to figure out what I wanted to do with my life,” she said. 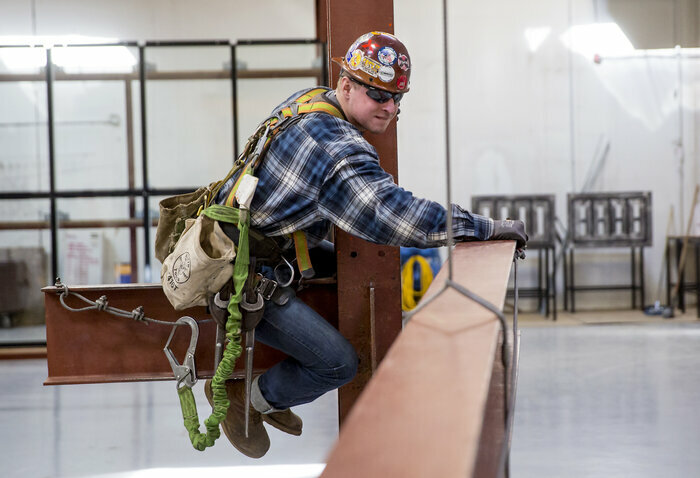 She never earned her degree and now, she’s an apprentice ironworker, making $32.42 an hour, or more than $60,000 a year, while continuing her training. At 5-foot-2, “I can run with the big boys,” she said, laughing. In January, Rich Ciarcia, a board member of the Maine School of Masonry, presented a hand carved stone that reads, Maine School of Masonry to the founder of the school, Stephen D. Mitchell. Ciarcia meticulously carved the inscription, and is a graduate of MSM. The monument will be displayed in the entrance of the school and serves as a testament to the craftsmanship the school inspires. Recently, state Rep. Tom Saviello hosted Mitchell on his local Mt. Blue T.V. show “Talkin Maine,” to get the word out about what the Maine School of Masonry has to offer students who want to succeed in the craft. 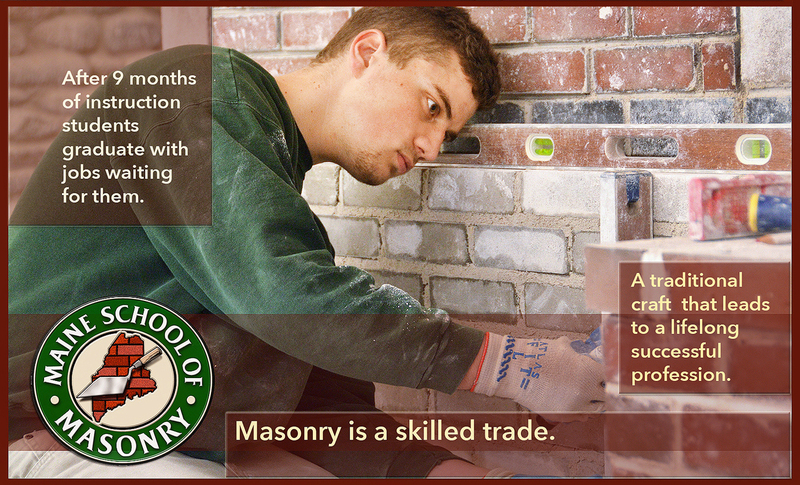 There is a shortage of masons throughout the United States. 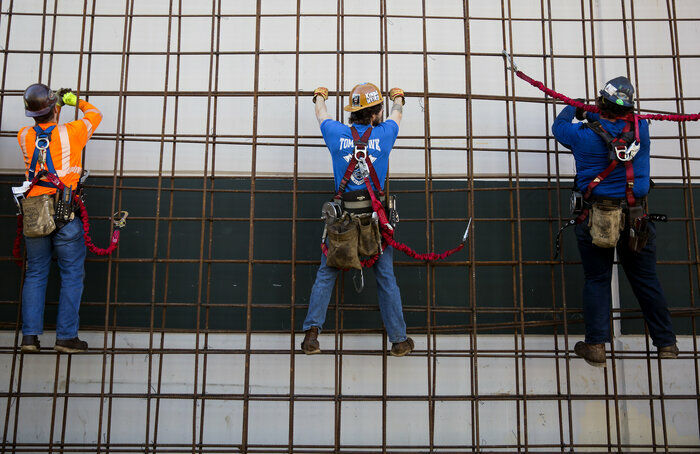 A 2015 study by the Associated General Contractors of America found that 55 percent of masonry contractors reported having trouble filling jobs. The Maine School of Masonry has been teaching students for more than 13 years, training future masons in the timeless art. The school also lines up jobs for graduates at nine businesses. Their unique Historic Restoration and Preservation program takes students to work on sites listed as National Registered Historic buildings. Currently these classes are working on restoring Fort Knox near Prospect and the Kennebec Arsenal in Augusta. Chandler Ellis is currently enrolled in the school’s historic restorative masonry program. Ellis is taking advantage of work opportunities provided by the school, earning $18 per hour while learning on the job. “It makes me proud to think I can make a difference restoring a 200 to 300 year-old building, so it’ll be here for future generations,” said Ellis. The on-the-job learning experience for students at these historic landmarks is unsurpassed as they’re trained by master masons, who have years of experience and insights into the craft that they are willing to share. It’s the only course of its kind in America. instructor too. I have seen some of the learning projects at the school, and they are wonderful. An amazing program, a dedicated leader and a wonderful opportunity for those interested in learning and preserving this skill. 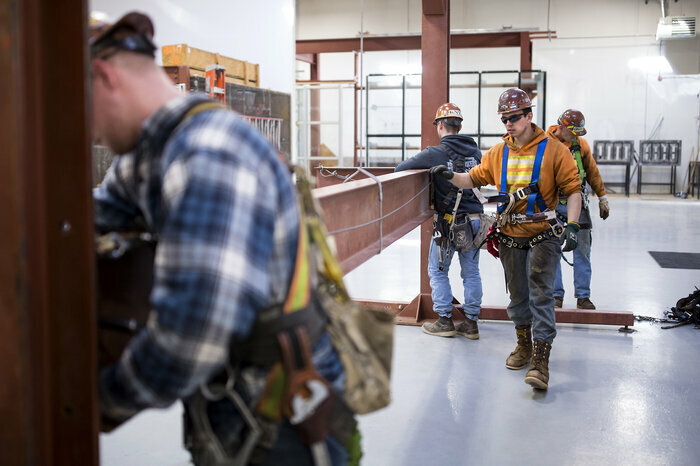 It’s a win-win for all…the students learn and the buildings stand tall for a longer period, allowing future generations to see and preserve our history…I’m glad and proud that Steve Mitchell and the Maine School of Masonry chose Avon for it’s home. AVON — Rich Ciarcia, a board member of the Maine School of Masonry, presented a hand-carved stone that reads “Maine School of Masonry” to the founder of the school, Stephen D. Mitchell in January. Ciarcia, who meticulously carved the inscription, is a graduate of the school. The monument will be displayed in the entrance of the school and serve as a testament to the craftsmanship the school inspires. Maine State Rep. Tom Saviello hosted Mitchell on his local Mt. Blue TV show, “Talkin Maine,” to get the word out about what the Maine School of Masonry has to offer students who want to succeed in the craft. The Historic Restoration and Preservation Program takes students to work on sites listed as National Registered Historic Buildings. Currently these classes are working on restoring Fort Knox near Prospect and the Kennebec Arsenal in Augusta. For more information about the school, visit http://www.masonryschool.org. 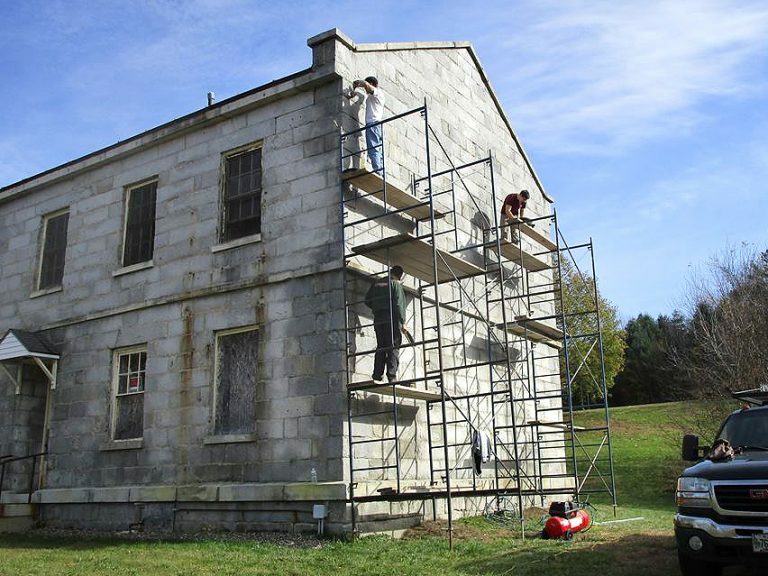 Daniel Wuorio is at work repointing at the Kennebec Arsenal.